The Entrepreneur Center @NVTC today announced the winners of the 2012 Entrepreneur Navigator Awards held at The Tower Club in Tysons Corner, Va. The Entrepreneur Navigator Awards honor individuals and organizations who have mentored and advised entrepreneurs and startups in the Greater Washington region, as well as helped improve the quality of the entrepreneur community. Congratulations to Navigator Award winner Wayne Jackson, CEO of Sonatype, Organization Navigator Award winner CIT GAP Funds and Lifetime Navigator Award winner John Backus, founder and managing partner at New Atlantic Ventures. “The winners and finalists of this year’s Entrepreneur Navigator Awards put forth tremendous amounts of effort, offering their expertise and life experiences to the Greater Washington region’s entrepreneur community,” said Kristin D’Amore, director, The Entrepreneur Center @NVTC. Navigator Award: Wayne Jackson, CEO, SonatypeWayne. Prior to joining Sonatype, Jackson was the CEO of open source network security pioneer Sourcefire Inc., which he guided from fledgling startup through IPO in March 2007 to a peak valuation of more than $750 million. He currently serves as an advisor to, and Board member of, a number of the DC region’s fastest-growing companies including Zenoss, JackBe, Triumfant, RainKing Solutions, Alternative Fuels Group and Netuitive. As a member of the James Madison University (JMU) College of Business Executive Advisory Council, Jackson helps young entrepreneurs create successful business plans during the school’s annual business plan competition for which he is a judge. He also shares his entrepreneurial experiences and expertise in building successful companies as a guest lecturer at the JMU Executive Speakers Forum, as a participant on DC Rainmakers’ invitation-only CEO Roundtables, and as a speaker at venture capital conferences and forums. Organization Navigator Award: CIT GAP Funds CIT GAP Funds makes seed-stage equity investments in Virginia-based technology and life science companies with a high potential for achieving rapid growth and generating significant economic return. Since 2005, CIT GAP Funds has made about 60 seed/early-stage near-equity investments in a variety of innovation-centric areas. CIT’s family of funds includes GAP I – a vintage 2004 fund fully invested in a broad array of seed-stage technology companies, GAP BioLife – a seed fund investing exclusively in life science companies, GAP Tech – a seed fund investing in IT and technology companies, and the Commonwealth Energy Fund, which was launched this past year. Lifetime Navigator Award: John Backus, Founder and Managing Partner, New Atlantic Ventures. As a founder and managing partner at New Atlantic Ventures, John Backus is a seasoned technology entrepreneur with more than 25 years of experience investing in and managing rapidly growing, high-technology companies. 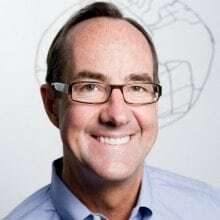 Prior to founding New Atlantic Ventures in 1998, Backus was a founding investor and the president and CEO of InteliData Technologies, a Fast 50 growth company in both 1997 and 1998. Backus dedicated the past 14 years of his career in service to the entrepreneur community and has volunteered his time to work with NVTC, MAVA, CIT, the Virginia Research and Technology Advisory Commission, and many others organizations.